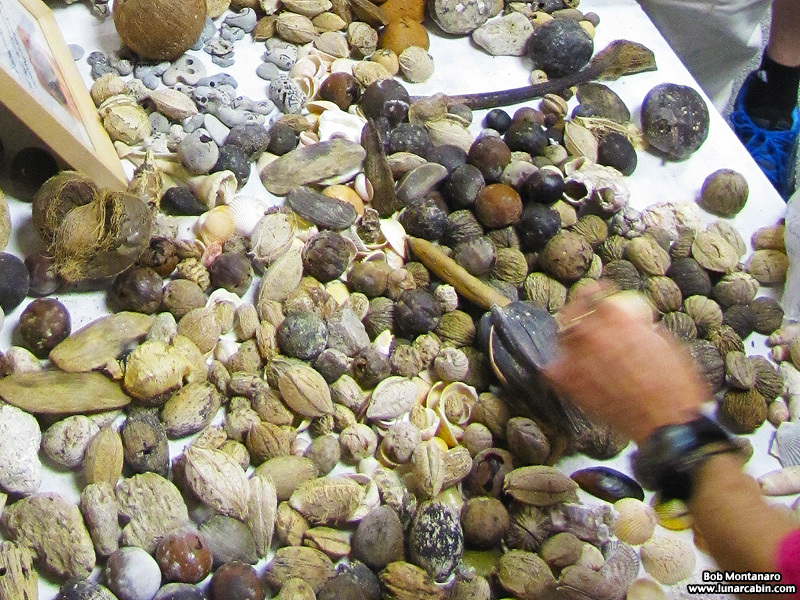 The 19th Annual International Sea Bean Symposium was held on 17 & 18 October 2014 in Cocoa Beach, Florida. While I am interested in sea beans, properly called drift seeds which are seeds from tropical plants from the jungles of South America that wash down to the sea and drift thousands of miles to eventually wash up on Northern Hemisphere beaches, I was delighted to find that Ocypode quadrata, the lowly Ghost Crab, was represented by the amazingly lifelike fossilized Ghost Crabs that are often found on the beaches of Brevard County, Florida due to the localized geology of the Anastasia Formation dating back to the Pleistocene and Holocene epochs. Thank you to Alice Lowe who presented me with this fossilized Ghost Crab as a beginning to my own collection. Here is a live Ghost Crab on the beach showing how lifelike the fossils are. 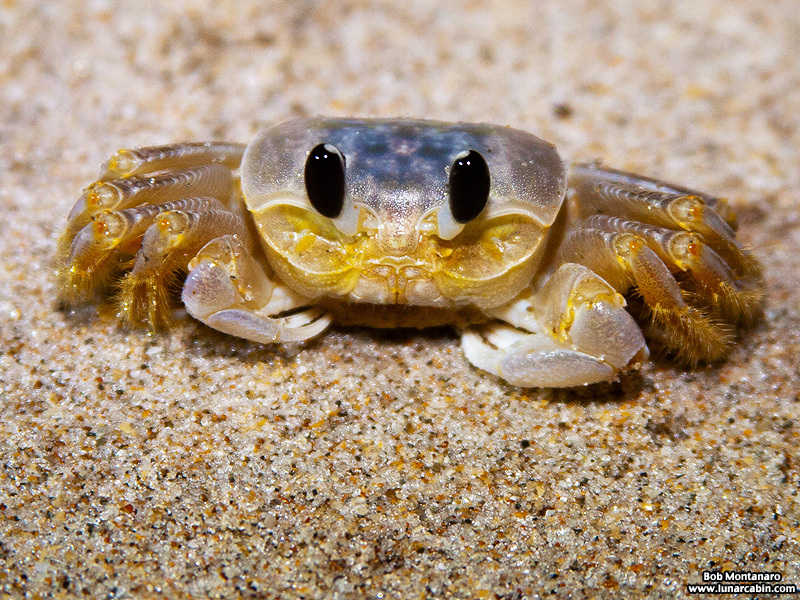 Research suggests that the often detailed appearance of the fossils is due to the Ghost Crabs being killed by a deep freeze while they are in their burrows. 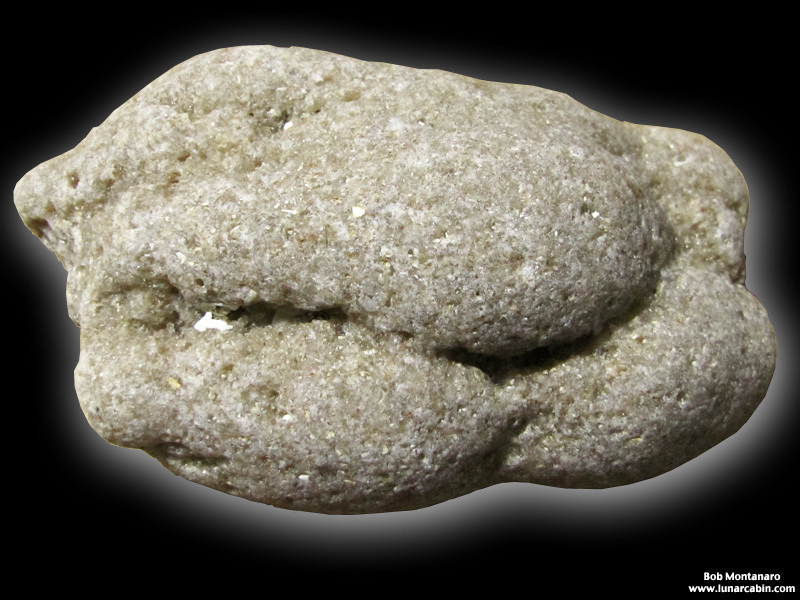 Being out of sight down in their burrows subsequently keeps the dead crabs safe from predators allowing the fossilization process to take hold and convert them over the ages to coquina rock. Another fossilized Ghost Crab. 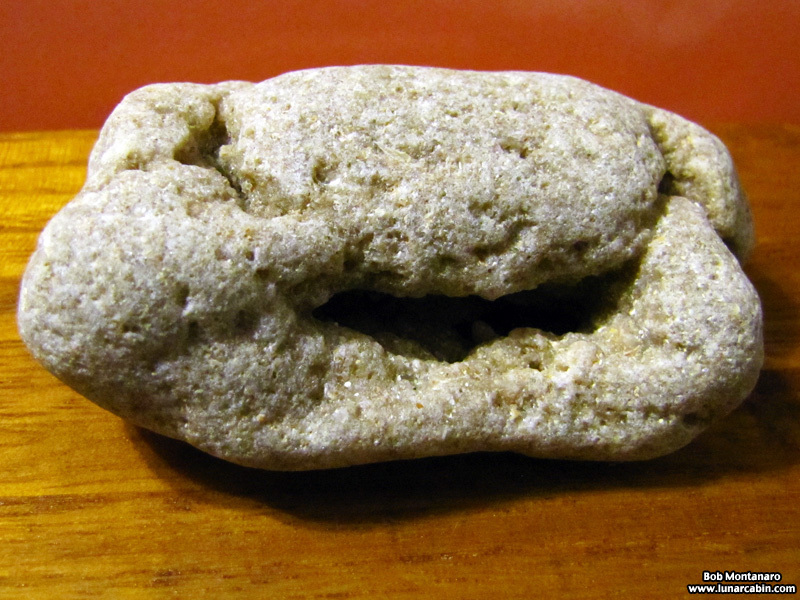 Thank you to Jenifer Mina who gave me this fossilized Ghost Crab as another addition to my collection. I am looking forward to trying to find them on the beach for myself! 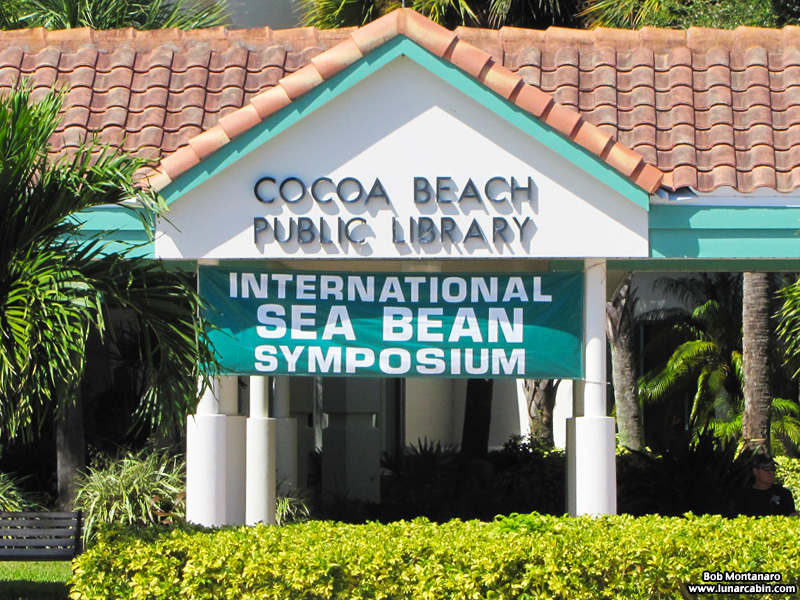 The main entrance to the Cocoa Beach Public Library with the International Sea Bean Symposium banner in place over the entrance. People enjoyed picking through the giveaway sea bean table. People were asked if they take something to leave something in return for someone else. Multiple speakers gave talks on a variety of sea bean related topics. 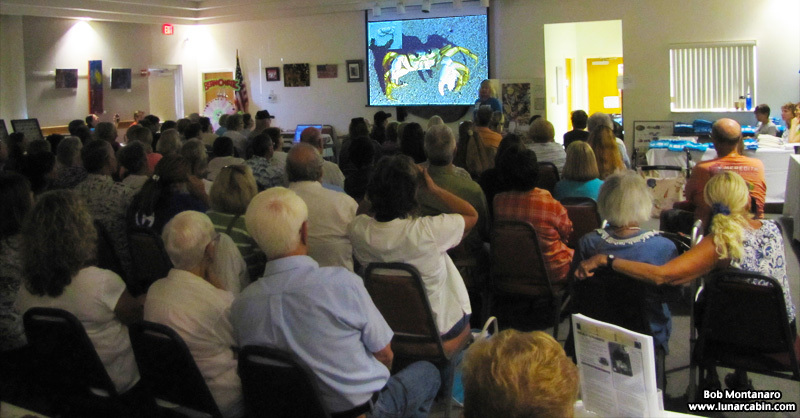 Here Margie Mitchell presents a slide show on Basic Beachcombing and Sea-Beans including finding fossilized Ghost Crabs on the beach. Thank you to Janice Broda who led the way to the Symposium.